On-demand bookings have become de rigueur in the mobile consumer space, allowing for last minute fitness classes, hotels, blowouts, and practically anything in between. Now, the concept comes to kids with a New York-based app called Sawyer. 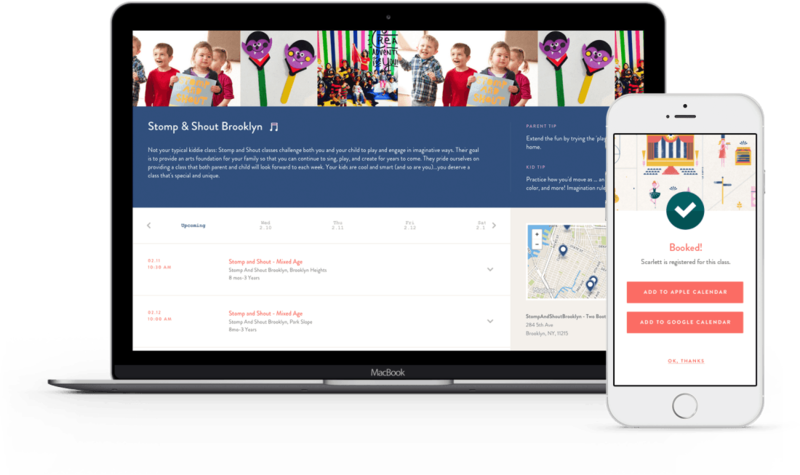 Taking advantage of this trend, Sawyer allows busy parents to book classes for their children, from roly poly babies to elementary schoolers. The classes are wide in scope — including art, dance, cooking and theater — and boutique in sensibility. This is likely to go over well with the power moms in Brooklyn, where a majority of the classes are based. Membership cost $39 per month for two classes and $99 per month for six classes. Since launching in beta in October, the platform has booked 1,000 classes and offer 4,000+ spots each month. The company is also looking to expand into camps and birthdays, both noted hallmarks of childhood. The model has proven to be quite a boon — fitness pioneer ClassPass has raised more than $80 million in funding to bring unlimited fitness to grown adults. But balancing value is a tricky one, especially when boutique experiences normally charge much more than the flat rate users want. But in the light of modern parenting, Sawyer has a shot at simplifying classes to enrich little minds.